Have you ever wondered what the big deal with this call for clean businesses is? Why should you spend the time, money, and effort to shop around for more ethical options? And just how effective are these clean beauty and lifestyle alternatives really? I wondered all the same things when I was first starting out, and now that I have been an eco-warrior for over five years, I have to say the answer is the same as most things - it all depends on personal choice! And there are SO many reasons to turn to cleaner beauty and lifestyle products! Animals: The sad reality is that many brands still conduct animal testing, either directly or through a third party. This means hamsters, mice, bunnies, chimps, dogs, and other fur friends (not to mention the countless fur-free animals that are tested on!) are having potentially dangerous concoctions rubbed and scrubbed into their shaved skin, injected into their bloodstream, and sprayed onto their unprotected little faces. By shopping certified cruelty free products, you are choosing to protect innocent lives that are not able to speak for themselves and sending a very direct message to companies: we will not buy a product built on cruelty. Selecting vegan friendly products is another way to show solidarity and compassion to animals, as this cuts out animal byproducts altogether -- something many believe is key to achieving healthy body, mind, and skin. Environment: We only have one planet, right? So isn't it our duty to protect it? Many mainstream products contain toxic chemicals that can leech out into the world either after being tossed into landfill or rinsed down the drain. These nasties don't just disappear - they find their way into the soil, the food chain, and the water supply and slowly begin to affect the surrounding environment. Ingredients like triclosan, DBP, BHA and BHT, oxybenzone, and silicones all have very real consequences for humans, plantlife, and animals, and many of these commonly used chemicals bioaccumulate, or build up, meaning the toxicity is persistent and ever-increasing. Scary. Finding all-natural and non-toxic products will dramatically cut down on your personal chemical footprint, and with enough people making the transition to eco-friendly options the impact on the world can at least slow down enough so the damage is not irreversible. Society: Choosing ethically made products can actually benefit those involved with the process in a very big way. Did you know that many working in the beauty, agricultural, and fashion industries are majorly exploited? Those employed either directly or indirectly by businesses focused only on financial returns are often abused - forced to work long hours for little wages and sometimes in dangerous conditions. Shopping Fairtrade is one way to ensure the brand you are buying from is not taking advantage of workers, and is a great step towards making a difference as a consumer. Health: Now, this one is especially relevant to me, as I have found that since I have made the switch to a cleaner lifestyle that everything has improved in my life. The ingredients in your toothpaste, ready-meal, or lipstick can pose serious health risks, so knowing what those strange looking names on the label are and what they are for is key. Luckily, there are free resources available for quick and easy checks, such as EWG and Think Dirty. You can pop in the suspect and get an answer as to its toxicity in seconds! However, what you can't so easily find out is what is hidden inside your products that is not listed on the label. Pesticides, genetically modified organisms that may contain deadly allergens, contaminated synthetics, and more can be contained without anyone realizing. To avoid these potential lurkers, look out for certified organic and GMO-free items, as this is the best way to make sure there are no hidden surprises in the products you are using. 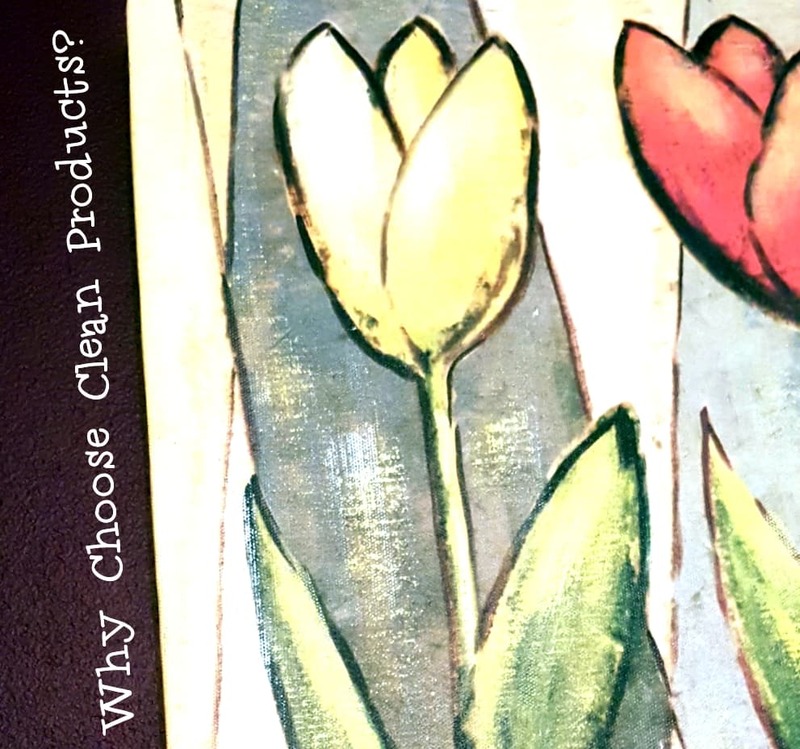 So why did I turn to clean living? It mainly started out as a generalized fear about the effects of synthetic chemicals. What were these compounds doing to my body? To the streams and the lakes and the rivers? How was marine life afflicted? All the furry friends out in the woods?? My panic was swift and sudden and completely overwhelming. How had I never considered these questions before?! Luckily, I had an amazing professor at the time who guided me towards resources and (understandable) scientific studies, and helped me set achievable goals. I immediately switched to a reusable coffee cup and swore off single use water bottles, and began looking into what was in my food and my products. And I have never looked back. As for how effective clean beauty products are, I would counter with 'just how effective is that high street or high end product?' Just like with more mainstream items, there are some things that are brilliant and some items that fall short of your hopes and expectations. However, unlike with retailer own brands or designer labels, there are certifications you can look out for that guarantee certain standards and levels of quality: NatTrue, Soil Association, COSMOS, ecocert, Fairtrade, Leaping Bunny -- each of these are trusted accreditations that come with specific guarantees. Plus, there are multiple awards conducted yearly that recognize the best brands and products, meaning the hard work is done for you! 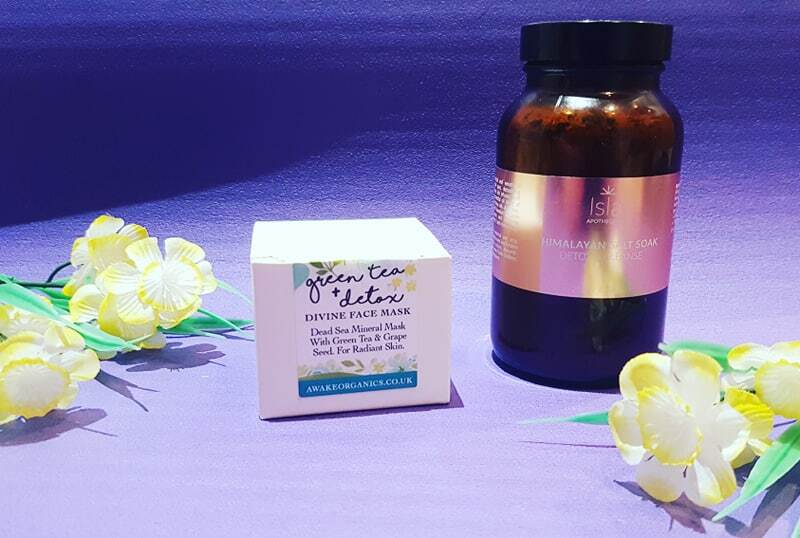 Just have a quick browse through The Beauty Shortlist, Natural Health International Beauty Awards, The Green Parent Natural Beauty Awards, or one of the many other trusted programs to find some of the year's best buys. So, how has the switch helped me? Besides the amazing feeling of doing my part as an eco-warrior, clean beauty and green living has made a substantial impact on my overall health, complexion, and mindset, most particularly for my ADHD. I have always struggled with short term memory, sustained concentration/motivation, and getting to sleep, and up until relatively recently I thought that was just how things were. I always found ways to manage (mostly a lot of coffee, sheer panic when deadlines approached, and a bit of self-taught meditation), but I never considered the impact simple things like my lotions and potions had on my behavior, attitude, and brain activity until my diagnosis in 2017. Since then I have observed myself and what makes my symptoms worse, and found eight ways in which my transition to clean living has really helped with my ADHD. This is by far the biggest aid for my issues with attention (and for co-existing issues like anxiety). Essential oils like lavender, rosemanry, cedarwood, vetiver, frankincense and anything citrus like Blood Orange have been shown in studies to improve performance up to 100%, and have become staples in my cupboard. These particular oils calm the mind, reduce stress, and can help aid cognitive performance. Finding products that contain these oils and using them strategically throughout the day has really helped manage my mood and keep me on top of things. Before I sit down to do work, whether it is responding to emails, creating a blog post, or writing my PhD, I set myself up for productivity by either lighting one of my 'concentration candles', mixing up a blend for my diffuser, or using an oil in the bath or shower. By introducing the aroma into the room at least 15 minutes before sitting down, I can get my brain ready for what is to come! The candle is the perfect mix of uplifting and focusing, and really helps give me the boost I need to get work done without too many digressions. It helps keep my mind clear and collected, and does not trigger my allergies. 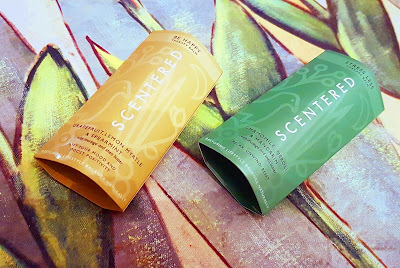 I love the body oil as it is so zesty and full of citrus scents. I apply it all over before getting into the shower, then breathe in the steam and let the effect roll over me. Any negativity that was previously blocking my ability to think clearly melts away and is replaced with a much brighter attitude. Plus, my skin gets to benefit from the super moisturizing qualities of the oil! If you have ADHD or are involved with anyone with the disorder, you know that what you consume can have an almost immediate adverse effect on your symptoms. I actively avoid foods that are super sugary, cause brain fog, or exaggerate my already unpredictable "Restless Bryanna Syndrome" as my partner semi-fondly calls it. One of these ingredients? Artificial colurings. These are known to worsen symptoms of ADHD, and while most have been banned by the EU, they are still used in the majority of American products. Since cutting out these synthetic additives, I have found myself much more even keeled and less rambunctious. I have even gone the extra step and decided to limit the artificial colourings in my beauty products as well. The skin is the largest organ, and it absorbs everything that it comes into contact with - body lotions, shower gels, blush - it doesn't discriminate. Plus, we have all seen the statistics claiming the average woman consumes anywhere between 4 and 9 pounds of lipstick in their lifetime, and I must admit more often than not my lipstick has disappeared before I can wipe it off in the evening. Even if the amount is minuscule, I would rather my beauty products did not negatively effect me in any way, so cutting out artificial colurings that could potentially make me a bit of nuisance was best for everyone. 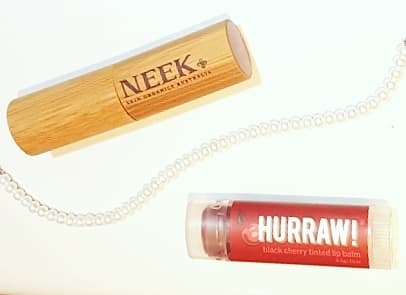 I love a natural look, and both Neek and Hurraw tend to give a subtle but beautiful pop to the lips. Neek goes on really well with a lip brush and gives a full coverage neutral colour with a tinge of pink and minimal shimmer. Hurraw gives a much more red-toned blush, but is less opaque which makes it great to use on the go. Okay, so I guess this one is not specific to green beauty per say, but my passion for nontoxic products really encouraged me to set the habit so let's roll with it! Keeping up with an established skincare routine has not just helped my complexion, but also my entire daily schedule. Time management can be a bit of an issue with ADHD, as other things tend to get in the way and distract you from what is meant to get done. As strange as it sounds, setting a routine for my skincare has balanced out the rest of my day as well. I wake up, cleanse, tone, moisturize, and by the time that is over my brain has started to boot up. I can then have my first cup of coffee while quickly catching up on the news and social media, then get started with my PhD writing! My nightly routine works in the opposite way, soothing my nerves, quieting my thoughts, and getting me in the mindset to doze off when I get into bed. Since becoming more aware about how and where my food is sourced, I have made it an active goal of mine to buy organic whenever possible. Organic products, whether it be beauty or produce, guarantee that what you are buying does not contain artificial chemicals, herbicides, fertilizers, and pesticides as well as being free from GMOs. By cutting out any added surprises from beauty products and daily meals, the amount of toxins you are in contact with decreases, the welfare of the environment is considered, and transparency between producer and consumer is paramount. What the organic label doesn't tell you though is how much better you might feel for the switch! Not only can pesticides and herbicides cause irreversible brain damage, many have been directly linked to ADHD in children. Those exposed to these toxic chemicals before birth have later shown impaired short term memory and cognitive development, and a greater likelihood to have mental or emotional issues in adolescence. Personally, I noticed a difference in my ability to focus just weeks after switching to an organic diet, and this has only continued to improve as I cut out nasties from my beauty cupboard. Like I mentioned before, our skin absorbs everything, and many of these chemicals continue to build up in our systems if we do not limit exposure. By switching to organic food, beauty, and personal care products the positive effects can have their maximum benefit! When I lived in WNY, I had to drive everywhere. The nearest shop to my parents is seven miles, and the nearest city 22. I was always in a car, breathing in and absorbing exhaust at petrol stations, and worrying about potential accidents. After moving to England I found my health dramatically improving, and part of the reason was because I was walking regularly, stressing less, and spending less time around toxic fumes. I could walk to the shops, to the cafe, to the cinema, or to the park. Plus, I no longer had the stress of operating a motor vehicle while also worrying about what other drivers were doing. Multi-tasking and ADHD do not always go hand in hand, especially in stressful situations, so dropping this day to day transportation chore was a huge boost to my ability to function more calmly and clearly. And even though avoiding air pollution from cars and buses is clearly not possible when living in a city (albeit a small one! ), I have found ways to fight environmental stresses and toxins another way: skincare. Detoxing is a great way to draw out impurities and pollutants, and it can help keep your skin cells healthy and fully functioning. Plus, I find the whole ritual of detox incredibly relaxing and great for settling the mind! Aim for a full body detox once a week, and you'll feel the difference in no time at all. The face mask from Awake Organics is divine in every way -- it smells incredible, applies like a dream, and makes my skin glow immediately after removing. I love how effective it is, and I love how the frankincense and green tea simultaneously remove nasties from my skin and help boost my concentration. Perfect tag team! The Isla Apothecary salts are brilliant for lifting your mood, improving circulation, restoring lustre to dull skin. The combination of salts, clay, and oils really balances out the skin, and I love how I come out of the bath totally grounded. Yes, you read that right. You know how some people use a spray bottle of water to help train their pets or stop them from tearing up the furniture? Well, I basically treat myself like a cat and spritz myself in the face whenever I feel my attention declining or wavering. Between the shock of the cool refreshing sensation and the soothing scent of the mist, I find my brain can immediately re-focus and I can get on with whatever task is at hand. 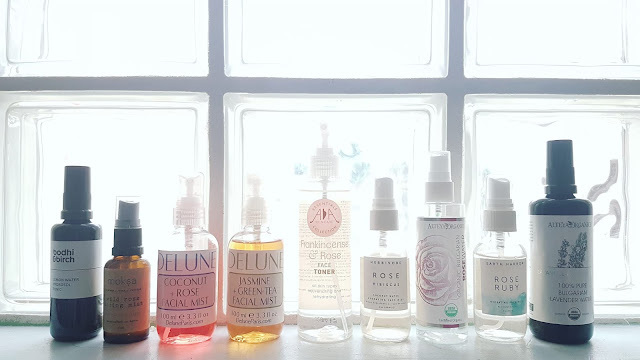 My go to: rose water! Right now I have several facial mists on my shelf, including Bodhi and Birch, AA Skincare, Balm Balm (not pictured since it is in my bag currently! 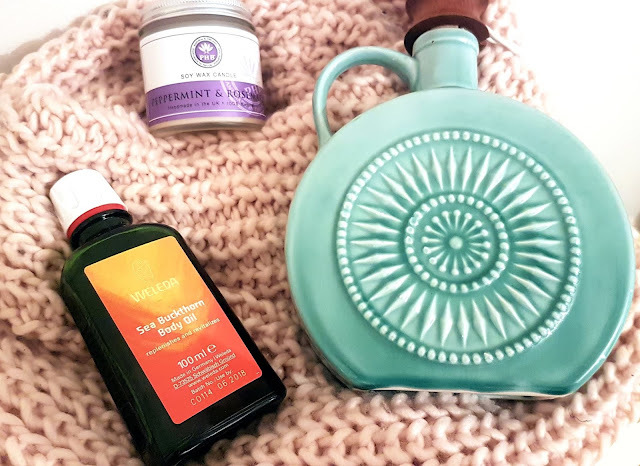 ), Alteya, Moksa, Herbivore, Earth Harbor Naturals, and Delune, but the ones I find myself reaching for the most for a quick pick-me-up are Alteya's Bulgarian Rose Water and Balm Balm's Rose Floral Water. These are the two most cost-effective bottles I have, so I know that even if I go through one every other week it won't break the bank! Okay, so I know this one won't be for everyone, but hear me out. There have been numerous studies done on how eating meat affects both the body and the mind, and while every individual reacts differently to various diets, I find not consuming meat has really helped with my ADHD. I have not touched red meat since I was very young (about 8 years old I believe), but I still ate poultry and seafood until pretty recently. Now, if I have chicken I immediately feel bloated, tired, and a bit foggy headed. Instead, I substitute with other iron and protein rich foods like lentils, black beans, nuts and seeds, chickpeas, and the like, many of which are also packed full of healthy brain vitamins and minerals like folate, thiamin, and B6! So what does this have to do with beauty? Well, recently I have been transitioning to more of a vegan diet as I have read many reports claiming how dairy exasperates ADHD symptoms, and that switch has largely carried over to my beauty products as well. I honestly was shocked at how immediate the difference in my skin tone was after just cutting out creams and lotions that contained milk derivatives (like casein). My t-zone used to be very spot prone, but I have not had any major issues since changing over my skincare! I can't wait to see what other benefits I notice as I continue. Similar to why I love aromatherapy, I have found balms are the perfect way to keep my mind focused and centered. There are balm for all occasions: to aid sleep, to promote positivity, to calm nerves, and even to generate feelings of peace and love. 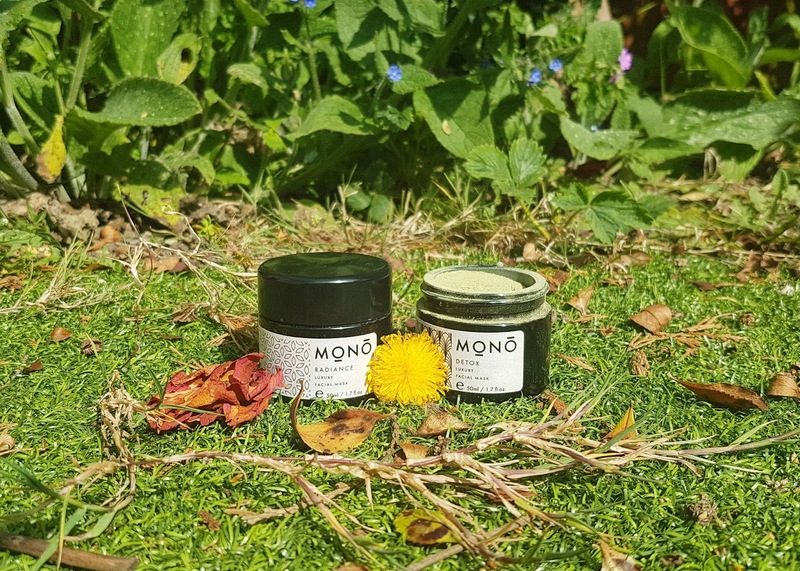 I tend to use balms in tandem with floral waters, as they are perfect to use while out and about and are really inconspicuous so you won't be met with concerned glances if you start using it in a coffee shop. You can quickly apply to pulse points and then breathe in the blend of essential oils whenever you need a refresh. While this brand does carry a 'Focus' blend, I find both De-Stress and Be Calm are ideal for how I use them. I tend to use balms when I am out of the house, and this is when my anxiety is worst. 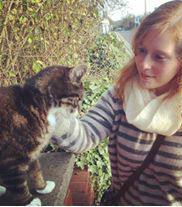 And when my nerves are unsettled and I am feeling an especially strong case of social anxiety, I cannot focus at all. Sorting out the cause of my distraction is much more effective than trying to remedy my attention issues, and means I will be able to sustain my energy longer. Has clean living benefited me beyond just helping with my ADHD symptoms? Most definitely! My skin is clearer than it ever has been and looks radiant without even a touch of makeup, my hair and nails grow twice the speed as they used to and are stronger than before my switch, and I feel revitalized just knowing that my exposure to toxic chemicals is as low as I can feasibly make it. But I have to say that one of the most life changing transformations has been on my mind. Utilizing the power of plants has proved time and time again to work for me, and I love that something as simple as distilled floral water or a herbal extract can completely change my mood, mindset, and ability to function like a 'normal' person. I still have off days, but I can get through them with the help of aromatherapy blends and a bit of a pamper. I just wish I had made these changes sooner! I love how totally aware and mindful you have become of yourself and everything around (and going inside) you to the point where you can make such a positive change. I have dyspraxia and Aspergers, which often come with very similar symptoms to ADD and sometimes ADHD. I've noticed since being vegetarian, eating fresh organic food (even just fresh food) and using more natural beauty products, that these symptoms and my general neurology has improved so much! I have chronic fatigue due to several illnesses but when I'm not fatigued, I'm so much more on-the-ball generally than I was in my 20's before a similar lifestyle change. Being responsible for our health and the planet is actually pretty fun, isn't it! This is Corinne, Founder of Rare Beauty btw! I absolutely love this post my darling! I adore Neek lipsticks, they're gorgeous! This is such a great post! And I love a good facial mist! What an informative read! I never knew clean living could help those with ADHD. It's really interesting to read how you've made these lifestyle changes and how you're feeling now. Its so good to make these important changes in life as not only are they beneficial to the environment but to the body as as well.I totally agree with clean living and try to as much as I can. This is such a great, detailed insight into clean living! I'm trying to make better choices as much as possible. Reading this has helped me notice a few other areas I can do better in! PHB Peppermint & Rosemary Soy Wax Candle? Never heard that before but it looks like a pretty good product. Where can I buy them? This is such a fab post! The soy wax candle sounds dreamy!